The Protein Freak here with another review today, Muscle Pharms Re-con! 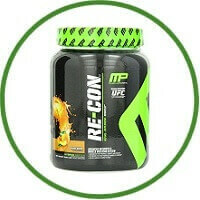 Re-Con is a post workout recovery product developed by the team at Muscle Pharm. Muscle Pharm Re-Con Supplement is a high-performance, post-workout recovery formula. Re-con was designed to maximize the most important phase of the athlete’s training program – the post-workout phase, what those in our game call the “anabolic window”. Every facet of “re-construction” nutrition is accounted for in this, the most comprehensive recovery formulation available on the market. Re-con’s comprehensive recovery formula includes: BCAAs and EAAS – research has proven EAAS and BCAAs are critical components of the muscle-building process, especially in the post-training “window of growth,” for muscle repair and rebuilding. 3-stage delivery system – the carb-max blend helps maximize post-workout muscle glycogen levels. The specific mono- and polysaccharide combination in this proprietary system provide a rapid and sustained absorption of nutrients, for immediate energy replenishment and ongoing, enhanced muscle glycogen recovery. Dextrose and (No Suggestions) provide rapid influx of fuel into muscles, while insulin’s slower absorption staggers nutrient delivery for sustained replenishment. Muscle extender – effective doses of beta alanine and citrulline malate have been shown to help replenish cellular energy, to fuel ongoing muscular contractions (for harder, more intense training sessions), and to prepare the muscle cells for the next training session. 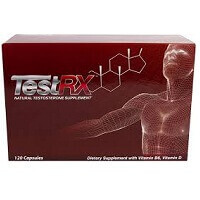 Muscle detoxifier – hyper-loaded with cellular detoxifiers, free-radical and cellular pollutant scavengers, this matrix is designed to remove metabolic waste for improved recovery and cell health. Anti-stress adaptogen – re-con contains several key anti-cortisol, anti-stress compounds, including phosphatidylserine and DMG, to counter the stress-related impact of hard-training, enhance systemic recovery and reduce the potential for overtraining. Recovery accelerator – re-con has several powerful recovery-inducing agents, including l-glutamine, taurine and l-arginine – known for their immune-boosting and recovery-enhancing properties.